FamilyLife Today® co-host Bob Lepine takes men deeper into what it means to be a truly Christ-like husband. In these pages, you will find a clear explanation of the spiritual priorities for any godly husband, as well as practical pointers for making real-life changes. 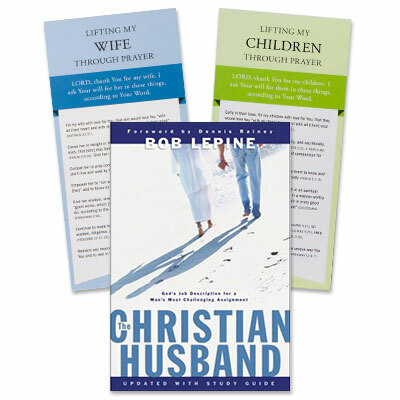 The Christian Husband is packed with advice and teachings from men like you who are seeking to follow the divine call of God to truly be a Christian husband by the Book. Filled with application ideas as well as study questions at the end of each chapter, The Christian Husband is the perfect resource for you to use alone or in a small group.